We are now offering a $20 sampler box. 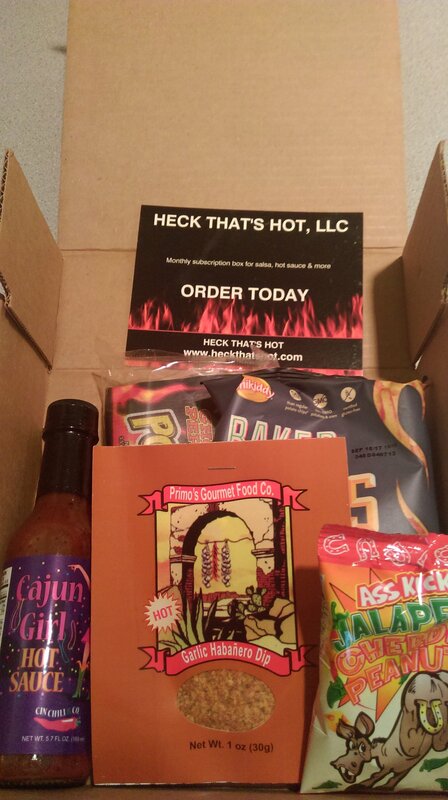 Each box will have one bottle of gourmet hot sauce and then a variety of products that might include chips, nuts, crackers, jerky, candy, spice mixes, dip mixes, etc., basically anything we can find that is hot and spicy. Each month will be a different variety of products so you will get different products. We will not repeat products. Shipping will be FREE! This is a great way to try out some interesting hot and spicy products each month.